Satisfying a need to use my stash of Liberty of London Tana Lawn fabric as well as a need for teeny tiny patchworking - although not all that small with each each finished square measuring 2 inches x 2 inches. In additional to working with my stash of Liberty Tana Lawn I have also used a selection of complementary quilting cottons. A random layout assisted by the occasional passerby and cross breeze ... my design floor is doomed but wall space is limited and I hesitate to block natural light from windows. I will have to continue to take my chances and accept such "interferences". I am not complaining. For the back of the quilt I have used a dainty floral print from the recently released collection by Aneela Hoey - Posy ~Bouquet in Daisy. 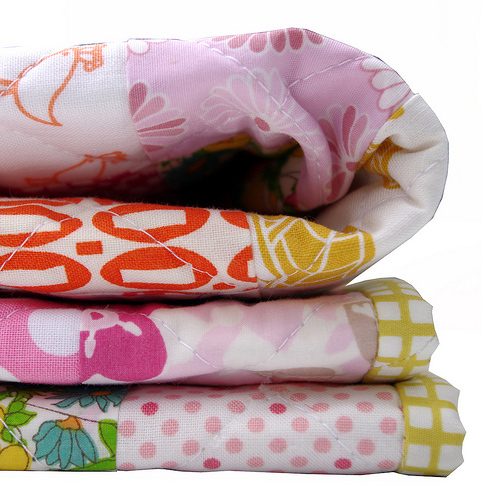 It's no secret, I love this particular print and have added yardage to my fabric stash. You'll see it make a regular appearance for some time to come. I have quilted this quilt with edge to edge diagonal lines (cross-hatched) which has given the quilt a lovely drape and added softness to the already luxurious and Liberty Tana Lawn fabrics. For a better idea of scale the quilting lines are approximately 1.25 inches apart. 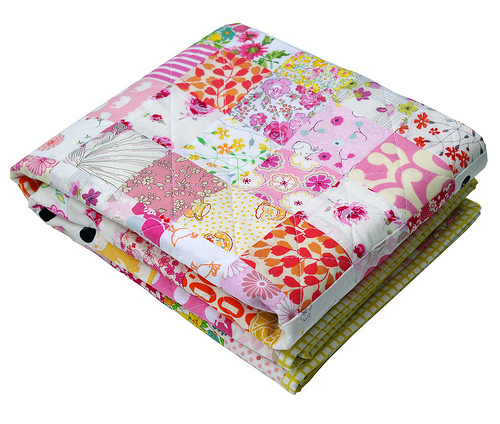 Binding fabric - again King's Road (in Lemon) from the Carnaby Street collection by Pat Bravo. I have that Posy in my stash too! I'm also partial to the light mint girls reading books. Gorgeous! I'm due with my first any day now and if we have a girl I'm sure I'll be spending a lot of time thinking about making a quilt just like this. I say "thinking" about making the quilt because I probably won't have time to actually make one for a little while, but I can daydream! I love the backing fabric, I definitely won't get tired of seeing it used in future projects! I really love the backing fabric. 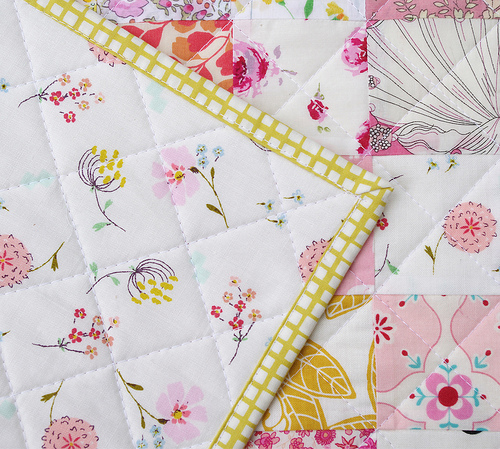 Your quilting lines look so pretty and perfect on it. I love it, I respect the bravery of your decisions, the colors chosen were brave but work brilliantly. 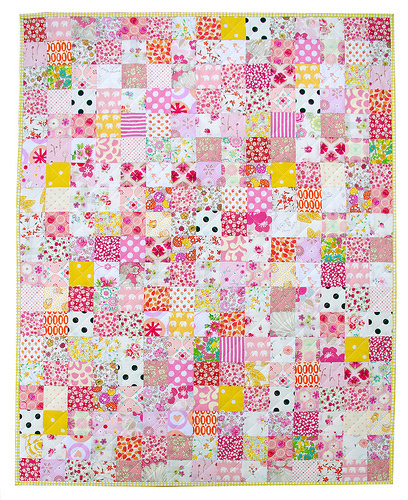 Really lovely baby quilt and in Liberty Lawn no less ~ you have such a wonderful way with color! 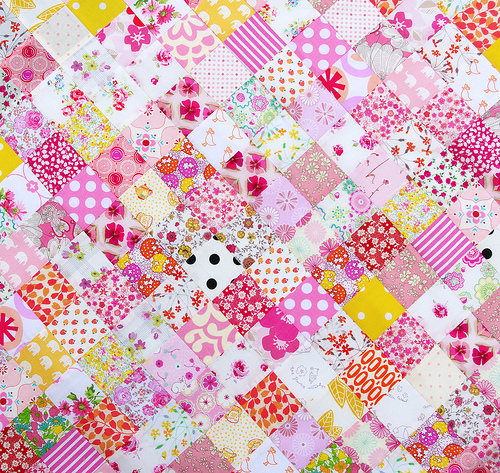 What a gorgeous quilt, I think this may be my favorite of yours yet! I love the color combinations as well as your selection of backing fabric. 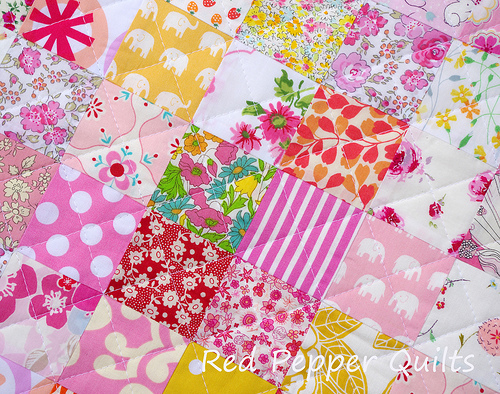 You just inspired me to make a quilt similar with reds and yellows, that is the day I tackle such project Thanks for sharing! 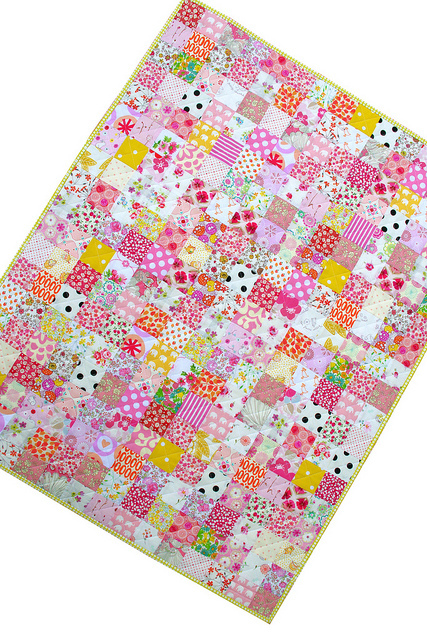 Absolutely lovely...Spring is here with this beautiful quilt! Love it and how fast they sell!! I need to do that to support my fabric habit. You probably do that too. I have 5 yards of that backing fabric just waiting for the Posy quilt I'm going to make for myself. Great quilt like all your quilts! Looking forward to seeing more quilts with my King's Road fabric! Thank you so much. Ooh,loving the backing and binding choices. So perfect!